Beings from the 5th Dimension who are deeply compassionate and choose to help humanity if they are called on. “The Arcturians are a most highly advanced, compassionate race of Light Beings. According to Edgar Cayce, Arcturus is the highest civilization in our galaxy. They are a 5th dimensional life form and highly advanced both technically and spiritually. That there are Beings here who are protecting earth and helping is clearly seen when one reads of some of the experiences of Dr. James Hurtak. He and many others have seen a bomb being sent to a country and before it could land, there was a shift of light that came “out of nowhere.” It surrounded and stopped the bomb. The bomb dropped, unexploded, into the ocean. 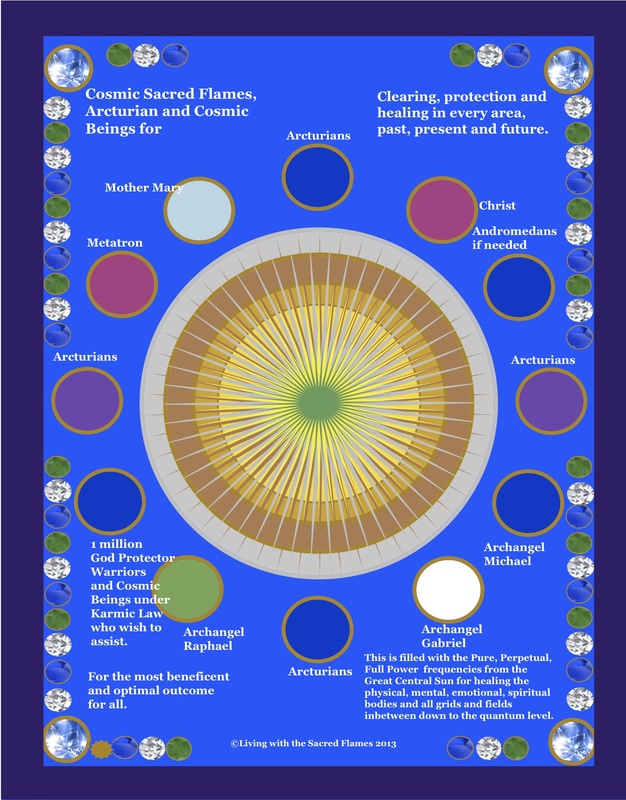 There are books about the Arcturians and much information about them on the internet. The job of clearing, cleaning and healing this planet is mammoth. Technologies are needed outside of the ones we have here. That there could be benevolent civilizations in this galaxy is most logical and it is also logical that they would wish to assist us here on earth for the highest good of all. This Sacred Flame provides a focal point of connection to these glorious cosmic beings.